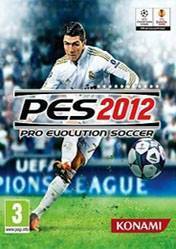 Pro Evolution Soccer 2011 (officially abbreviated as PES 2011 and known as World Soccer: Winning Eleven 2011 in Asia) is an association football video game in the Pro Evolution Soccer series developed and published by Konami with production assistance from the Blue Sky Team. PES has enhanced the 360 degree passing ratio, offering unprecedented levels of control over every pass, shot, throw-in, through-ball, and lofted through-balls. This allows users to pass the ball into space, and move their play with total freedom. Players must precisely weight their passes and second-guess the runs of their team-mates and exploit their movement. Players can apply pressure on opponents to force them off the ball. In addition to the generic power gauge, the shot and stamina metre details the player's level of fitness. Constantly sprinting will affect the player's movements and will have an adverse effect on his stats, with passes going awry and a loss of pace.